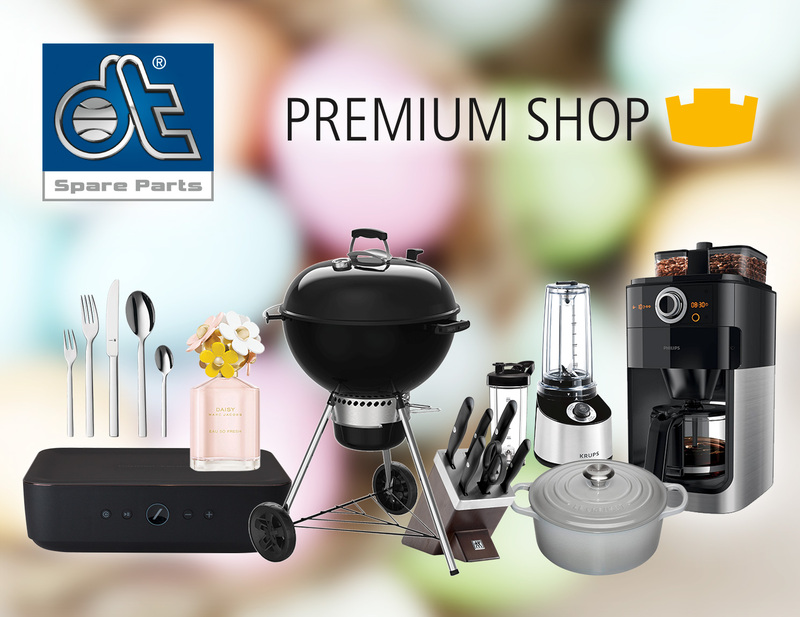 The DT Spare Parts Premium Shop for workshop professionals has a great new promotion for Easter: From 3rd April to 22nd April 2019, there is an attractive prize to be won every day. From floor vacuum cleaners, microwave ovens, jug blender and charcoal grills to 4K-HDR BluRay players and sound bars - the list of prizes raffled off to participants in the Premium Shop for workshop professionals is long. The prizes of the Happy Easter Promotion have a total value of 5 000 euros. All shop participants who redeem crown codes on the campaign days have the chance to win the respective daily prize. The Premium Shop works as follows: With the purchase of DT Spare Parts products, crown codes are obtained that are visible on the article label of the packaging. Behind each crown code there is a certain quantity of crowns, which can be redeemed in the Premium Shop at premiumshop.dt-spareparts.com after registration at no charge.